The UEFA Champions League, simply put, is the best club soccer competition in the world. Thirty-two teams -- including the top four from England, Germany, Italy and Spain last season, and the top three from France -- will begin their European campaigns on Sept. 18 or 19. The eight groups, and opening-round matchups, were revealed last week. 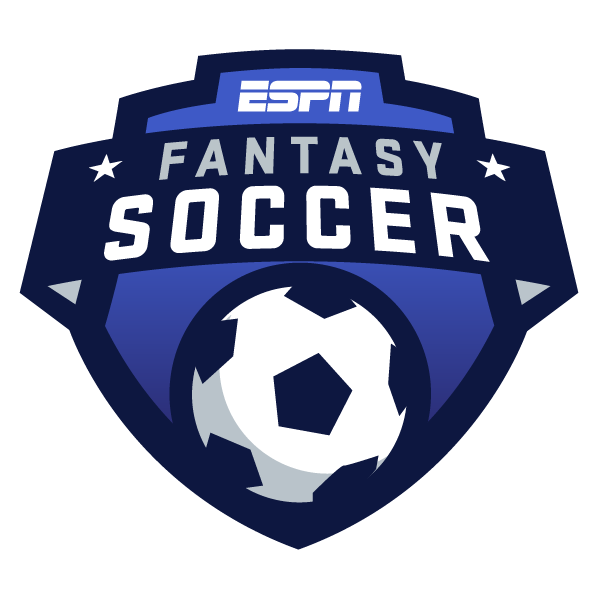 And ESPN's new fantasy soccer game is up and running! The Portuguese superstar led Real Madrid to their third straight Champions League trophy last season, scoring 15 goals in the process -- four more than any other player -- and was the fantasy points leader as well. But he left Madrid for the Italian champions, Juventus, this summer, which throws a wrinkle in forecasting his production in 2018-19. Ronaldo has failed to score a goal in his first three games with Juve, but it's not for lack of trying -- he's already attempted 23 shots, six more than any other player in Serie A. Juve have been made the second favorite to win the Champions League by many bookmakers, so Ronaldo should enjoy another deep run at least, and be at or near the top of the fantasy points table. The favorites to win the Champions League are Manchester City, the defending English champions. But they only advanced to the quarterfinals last year, where they were knocked out by Premier League rivals Liverpool. And they've never won this competition, only reaching the semifinals once, three years ago. That being said, Man City ran away from the pack last season, winning the Premier League by 19 points and setting records for total points (100) and goals scored (106) among other things. They are heavy favorites to defend their title, and have looked very strong again so far, although they did drop points in a 1-1 draw at Wolverhampton Wanderers. Mendy missed most of last season due to injury, but already has four assists in four games and is likely to be one of the top-scoring defenders in fantasy points this season, both domestically and in Europe. The Egyptian was the breakout star in England and Europe last year, leading the Premier League with 32 goals in his first season with Liverpool, and also leading his new club to the Champions League final. They're expected to push Man City close in 2018-19, and also make another deep run in Europe. Salah has two goals and an assist in Liverpool's first four games this season, all victories. But the other two members of Liverpool's front three are also huge fantasy assets. Sadio Mane was ranked fourth overall in Champions League fantasy points last season, right behind Salah, and has already scored four goals this season. And Roberto Firmino, who scored his first goal last weekend, scored as many Champions League goals as Salah last season (11) and finished ahead of him in fantasy points -- second overall, behind only Ronaldo. It's strange to see Messi not at the top of any list, but he only finished fifth in Champions League fantasy points last season, behind Ronaldo and the Liverpool trio. There's an easy explanation, though -- Barcelona were upset in the quarterfinals by Roma. Messi was far and away the best player in Spain last season, scoring 34 goals -- eight more than Ronaldo in second place -- and also tying for the league lead in assists with 12. He finished with 892.9 fantasy points -- nearly 300 more than any other player in La Liga! Messi already has four goals and two assists in Barcelona's first three games this year, and will be a fantasy star for as long as Barcelona survives in Europe. The defending European champions surprised many by not going out and signing another galactico to replace Ronaldo. Instead, they're essentially promoting from within -- counting on several players to pick up the scoring load. Marcelo is Real Madrid's top returnee in terms of Champions League fantasy points -- he finished 11th overall last season. But I've got my eye on another Madrid defender this year -- Sergio Ramos. The club captain finished slightly ahead of Marcelo in La Liga fantasy points last season, and with Ronaldo gone, Ramos is now taking penalty kicks. He scored one against Leganes last weekend, and also scored one against Girona the week before. This will increase his value greatly if it continues. How did Roma make it all the way to the Champions League semifinals last season, including knocking off Barcelona in the process? Well, Dzeko is one big reason. The former Manchester City forward scored eight goals in 12 games, including a goal in each leg against Barca, and finished sixth overall in Champions League fantasy points. Dzeko scored a spectacular goal in Roma's season-opening win over Torino, had an assist the following week, and through three rounds is second in Serie A in shots, behind only Ronaldo. But it's also worth noting that Inter Milan forward Mauro Icardi scored 29 league goals last season, 13 more than Dzeko, and finished sixth overall in fantasy points, eight places ahead of Dzeko. Inter weren't in the Champions League last season, but will be this year. Bayern won the Bundesliga last season for the sixth year in a row, and also advanced to the Champions League semifinals, where they fell by one goal on aggregate to Real Madrid. This year's Bundesliga season only started two weeks ago, but the defending champs are off to a good start, with wins over Hoffenheim and Stuttgart. Lewandowski already has two goals and an assist. Lewandowski scored 29 league goals last season, 14 more than any other player, and finished tops in fantasy points as well. But his form wasn't nearly as good in Europe. Lewandowski only scored five goals in 11 Champions League games, and finished tied for 14th in fantasy points. Bayern were the only German team to advance to the knockout rounds last season. Borussia Dortmund, Schalke and Hoffenheim will also participate at least in the group stages this year. Naldo, a central defender for Schalke, finished second overall in Bundesliga fantasy points -- but he got a big boost from scoring seven goals, after scoring only one league goal the previous two seasons combined. Hoffenheim forward Andrej Kramaric had 13 goals and six assists and finished fourth among outfield players in fantasy points. Dortmund's best fantasy performer, total points-wise, was central defender Sokratis Papastathopoulous, who finished only 34th among outfield players and has moved on to Arsenal. The Brazilian finished ninth overall in Champions League fantasy points last season, despite the fact that PSG were knocked out by Real Madrid in the Round of 16, so he only got to play in seven games. Neymar averaged 23.13 fantasy points per game, ranking him second behind only Ronaldo among players who participated in the knockout rounds. He's off to a flying start this year as well, with four goals and an assist in PSG's first four games. But Ligue 1 is the weakest of the five major European leagues, and Neymar's current club has never advanced beyond the quarterfinals in the Champions League. Tottenham also fell in the Round of 16 last season, losing by one goal on aggregate against Juventus. But Kane was just as good in Europe as he was in England. He scored 30 Premier League goals, second only to Salah, and finished third overall in fantasy points. And he had seven goals and two assists in seven Champions League games. Kane famously had never scored a Premier League goal in August before this season, but he's already scored two in Tottenham's first four games this year. And the 25-year-old's got a proven track record, having scored 29 league goals in 2016-17, and 25 the season before that. Jose Mourinho's team was knocked out by Sevilla in the Round of 16 last season, who went on to only finish seventh in La Liga. Man United performed better domestically, managing to qualify for the Champions League again by finishing second in the Premier League. But they're off to a poor start this year, losing 3-2 at Brighton and 3-0 at home to Tottenham in two of their first four games. It speaks volumes when your standout performer, in general terms and from a fantasy perspective, is a goalkeeper. But David De Gea is the best player Man United's got right now. He was the top Premier League goalkeeper in terms of fantasy points last season, and also the top Champions League goalkeeper in terms of fantasy points per game. Atletico Madrid forward Antoine Griezmann finished slightly ahead of Parejo in La Liga fantasy points last season - fifth overall among outfield players, two spots in front. But we're highlighting Parejo because he's a midfielder, and was the second-best fantasy midfielder in Spain last season behind only Illarramendi of Real Sociedad. Valencia weren't in the Champions League last year, but earned a spot by finishing a strong fourth in La Liga, just three points behind Real Madrid. Parejo isn't super-flashy -- he had seven goals and seven assists last season -- but was fourth in the league in chances created and fifth in completed passes. Switching countries, two midfielders finished in the top five in fantasy points in England last season: Kevin De Bruyne of Manchester City (second), and Christian Eriksen of Tottenham Hotspur (fourth). But De Bruyne is out for at least the next couple months due to injury, and Eriksen is off to a relatively slow start, with no goals and one assist in four games. It was the same case in Italy last season, with Paulo Dybala of Juventus finishing fourth in fantasy points, and Ivan Perisic of Inter Milan fifth. Perisic has two goals and an assist in Inter's first three games of the season, but Dybala hasn't started Juve's past two games, as manager Massimiliano Allegri tries to find a formation that best suits Ronaldo. Napoli fell just short of toppling Juventus last season, finishing four points behind, but their final total of 91 points was a record amount for a Serie A runner-up. And winger Lorenzo Insigne topped the fantasy points table by far, finishing more than 80 points ahead of any other player. He only scored eight goals, but had 11 assists, led the league in chances created, and was sixth in completed passes. They didn't get out of the group stage in the Champions League last season, and they lost manager Maurizio Sarri to Chelsea. But new boss Carlo Ancelotti has won the Champions League three times, and Napoli won their first two games, including an Insigne goal in the first game, although they lost 3-0 to Sampdoria last weekend. The former Manchester United castoff was terrific last season for Lyon, who finished in third place in France - two points behind Monaco and 15 behind PSG. Depay had 19 goals and 13 assists, and finished second overall in Ligue 1 fantasy points. Lyon have two wins and two defeats in their first four games this season. Depay only has one goal and one assist, but he leads the league in chances created. It looks like Depay's headed for another big year, and it'll be his first chance to play in the Champions League since the 2015-16 season, when he scored three goals in eight games for Man United. Monaco finished above Lyon last season, but their best fantasy performer -- midfielder Rony Lopes (15 goals, five assists) -- only finished 17th among outfield players in Ligue 1 fantasy points.